Naughty Dog's post-apocalyptic adventure is coming next spring. One of the biggest announcements from last year's Spike TV Video Game Awards was the reveal of The Last of Us, a PlayStation 3-exclusive action game set in a post-apocalyptic world. Following that tradition, another The Last of Us reveal took place at tonight's VGAs ceremony: the game's release date. After a year of having a vague 2013 window, The Last of Us now has a firm release date of May 7, 2013. The Last of Us is the story of Joel and Ellie, two survivors trying to make their way through post-apocalyptic ruins filled with people infected by a deadly fungus. The new IP from the Uncharted developer will have gunfighting and melee combat, with the father-daughter-like relationship between the two main characters being an important element of the story. 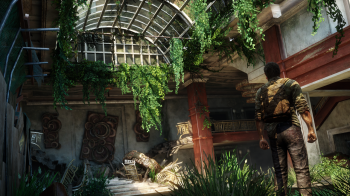 Naughty Dog's next adventure was one of our favorite games of E3 2012. Hopefully the completed game can live up to our early impressions; there are only five months to go until we find out.